Five underdogs at the Augusta Masters - Another Great Article from GSB! The charm of any sport lies in the underdog. What fun it is to see the favorite leading from the beginning to the end? Golf is no different! I’ll bet that you are also interested in where to go so that you could wager on these games as well, so let’s go ahead and also add the top 5 places you could do so! Like any other major sport there is a lot to be won in the wagering, especially if your underdog picks can come through. When the first major on the PGA schedule of 2019 opens the greens, all eyes (okay, at least most of the eyes) will be on those players lurking in the shadows. For every Rory McIlroy, there’s a Brandt Snedeker; for every Dustin Johnson, there’s a Charles Howell III. The tree-lined fairways, lightning fast greens, and a testing schedule, Augusta puts every player under spotlight. The ability to withstand adversity and conquer the best of the best among the field will determine if a player gets closer to the ‘green jacket’. Perhaps you have wondered just where or how to bet on the Masters 2019. Just head on over here! One of those places include BetOnline which is currently offering you up to $1000 im Free Play Money when you use the code BOL1000! Some of the picks have been punting big on the returning legend Tiger Woods. Has he still got the game? For all the assurances you can get in terms of his experience and expertise, Woods’ fitness is a major drawback – so let’s rule him out of the contention. If we can stick our neck out and call a spade a spade, Woods might not even finish in the top-25 – a good longshot pick! One name that is definitely making waves is the 25-year-old American youngster Bryson DeChambeau. Not long ago, he was trying to move up the ladder of PGA tournaments and now he is, joining the Augusta as the sixth ranked player. From a player who has missed the cut in 16 tournaments in 2017, DeChambeau has won four PGA Tour events and has finished 15th or better in four tournaments this season. A good chance to be in the top-five? We would take a giant leap of step and say that he could be a winner! 13-year older to DeChambeau, the 38-year-old experienced veteran Brandt Snedeker can be your next pick. He has nine wins on the PGA tour, but more importantly he comes with a good Augusta experience. The last four starts at the Augusta saw him pick up two top-ten finishes, including a tied-third in 2008. Snedeker is often ranked as one of the best in the PGA Tour for the strokes gained around putting and strokes gained around the green. Both the stats are vital for a Masters Champion. Don’t agree? Have a look at our article on what it takes to win at Augusta! 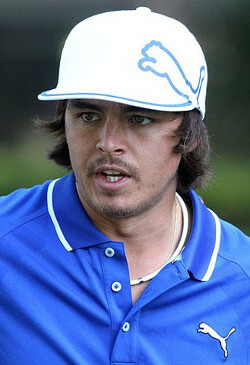 Rickie Fowler would be a fan favorite to win this years Masters. For a long time, Charles Howell III has been considered as the ‘player who could have been’. Not anymore; when he ended an 11-year PGA Tour title drought at the RSM Classic in November. That has sparked him to life and he hasn’t missed a cut since. Six top-20 finishes indicate that he is now picking the pieces up. Even statistically, Howell III has a major winning arm – second in Greens in regulation. Isn’t that enough to stick your neck out and place your bets on Charles Howell III? Rickie Fowler, the defending runners-up was always the bridesmaid at the Majors. This season, however, could be the difference, as he looks to build on his record of four top-12 finishes in the last five seasons. A maiden Major triumph could be awaiting at the Augusta! 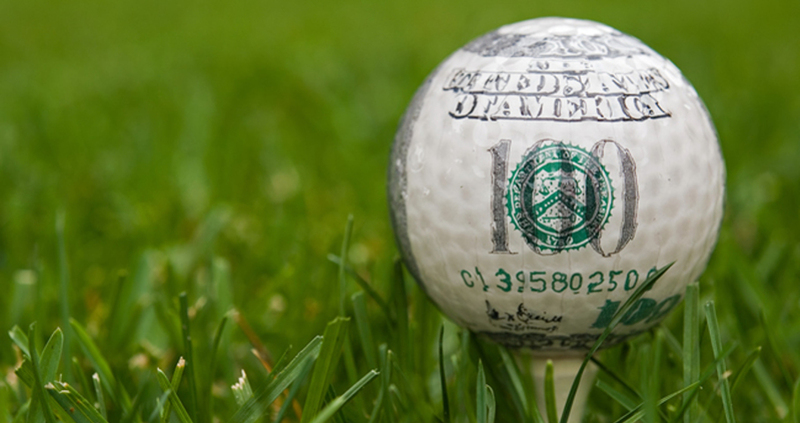 As Promised, the Best 5 Places to Bet on The Masters! No secret, Bovada is by far our favorite of the list! Fast payouts, great customer service, and deposits of bitcoin, bitcoin cash, Chase Quickpay, Visa, Mastercard, and American Express. Right now, you can place all of the golfing wagers you would expect, and if you were to join today, you can grab a deposit bonus of up to $250 with the bonus code 130347. Use the code BOL1000 right now and you’ll get yourself a nice 50% Match Bonus of up to $1000! Over at BetOnline you can place wagers as low as 1 dollar, or hit up their top-notch Live Dealer Casino to take a break from the sportsbook. Also, if you run into that chance that you actually need to speak to someone at the sportsbook, their Customer Support is available 24 hours a day! Not a lot of online sportsbooks can make that claim! Like the idea of that bonus listed above for BetOnline, but see better odds posted at MyBookie? No worries! Just use the code GOOD2019 for the same 50% Match Bonus up to $1000 As we have stated in the past, this is why it’s good to join up with more than one sportsbook! Intertops will currently give you a 50% bonus up to $200 using the code ROOKIE50! With 20 years of experience in the industry with a great record, you really cannot go wrong with Intertops or all of the services they offer. 5Dimes is funny. It looks as though their site was built sometime in the 90’s, but don’t fret. They still have come above and beyond in different ways, keeping themselves toward the top of our trusted list, right where they belong. If you were to go and join up with them, make sure you take a look at the “Reduced Juice” option, not being offered by anyone else. To see the honest reviews of all of these sites as well as the other sites we use and support, just click on this link! Naturally, everyone should be mindful of their bankroll. But, man there is always something exciting about betting the underdog! Tim Tebow and the 2011 Denver Broncos? The 1980 Men’s US Hockey team still being refereed to as The Miracle on Ice? Buster Douglas coming out and beating Mike Tyson with Tyson being a 42-1 favorite? The Underdogs are called as such for a reason. They are all their own long-shot for whatever reason. The odds of your winning may not be all that great, but the given payout sure would be!